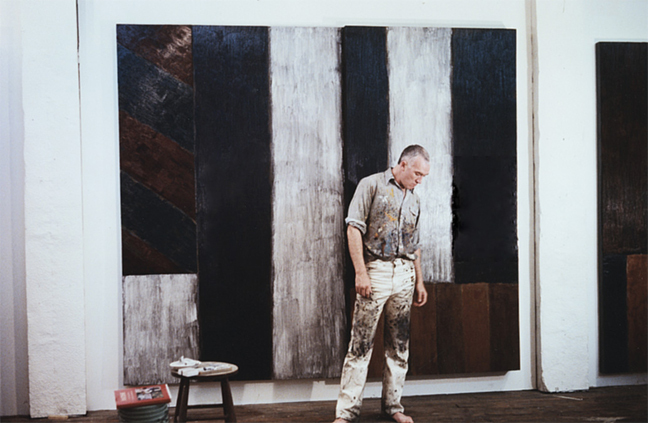 Sean Scully was born in Dublin in 1945. For financial reasons, the family emigrated to England four years later. In his formative years Scully was greatly influenced by Mark Rothko and from then on, his work eschewed any pictorial representation. He was also greatly influenced by artists such as Titian, Velasquez and Matisse. 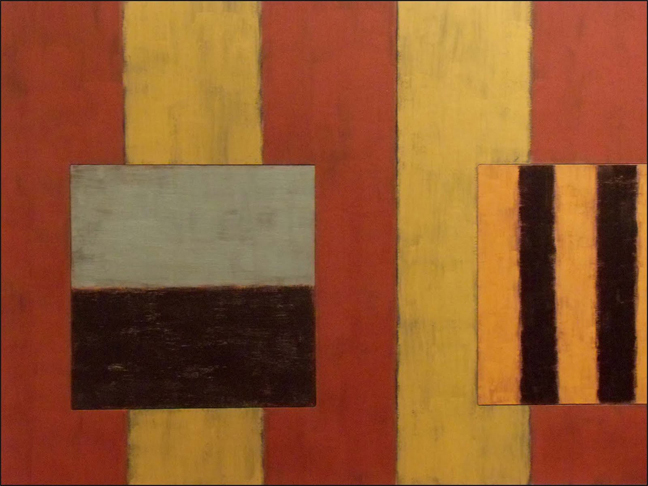 Another early influence was the geometric paintings of the British painter Bridget Reilly. 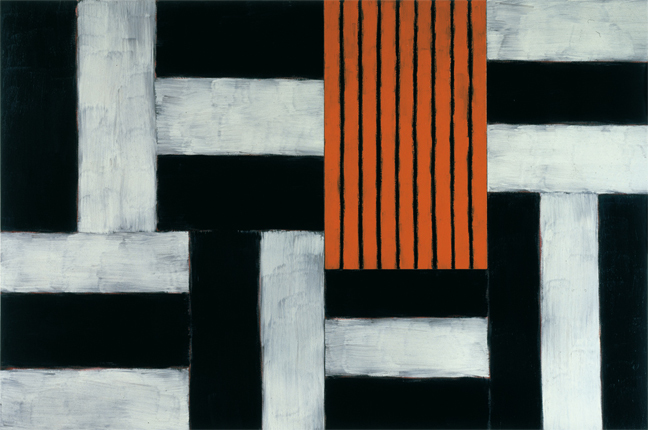 The painting was greatly inspired by a journey that Sean Scully made to Mexico. He was struck by how light fell on the walls of ancient Mayan ruins. Scully’s work is a raw and potent building of colour upon colour, paint upon paint. Looking at the painting closely, the edges of previous colour reveal themselves giving the work great immediacy and energy.